The City Leaders Comic, Journey is Now Available! Journey, the comic created by our participants in the first stage of the City Leaders programme, is now available to read online, here on the Autus website! Read more about The City Leaders Comic, Journey is Now Available! 3DNovations Mentioned in The Technews! 3DNovations has been mentioned by technology journalism site The Technews in an article about Groundbreaking Tools for Gamers with Disabilities! Autus makes extensive use of 3DNovations' technology; technology that we've been instrumental in helping to develop, so it's great to see them getting some much-deserved media attention. Read more about 3DNovations Mentioned in The Technews! Our confidence and work-skills development programme, Click Start is open for enrollment and looking for participants once again! If you're interested, you can find registration information on the Click Start programme page. Read more about Click Start is Enrolling! 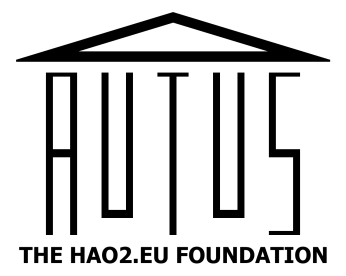 Autus is now in compliance with the new European data protection laws. We have done a complete review of all relevant policies and procedues for compliance, and the updated policies are now available on our website in the Policies section. If anyone has any questions about we handle your data, then please, feel free to Contact Us! Featured in LCF Autism Awareness Week Coverage! Read more about Featured in LCF Autism Awareness Week Coverage! We've been shortlisted for the Natwest Skills and Opportunities Fund! Read more about Summer 2017 Programme a Great Success!